The right to health care in a contemporary world is widely recognized as one of the fundamental rights included into human rights concept. Despite such general acceptation the meaning and scope of right to healthcare is not universally understood in the same manner. The process of unification has been initiated some years ago and is still being developed. 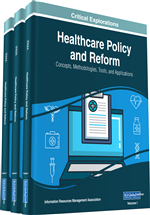 The very first grounds in this regard are: legislation and political documents, like health strategies, programs and plans - both at the common and national levels. The two most important documents influencing and changing the right to health care today in Europe are Health 2020 Strategy and EU Directive on Patient's rights in cross-border care. These documents have important impact on national legislation of EU countries. They change the systemic perspective and create new approach towards patient's rights in this region. Hereby, the main features of the process and analysis of the documents referring to the Polish example are presented.